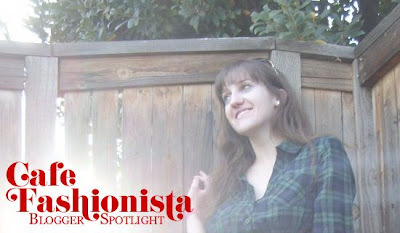 cat eyes & skinny jeans: IFB Featured Blogger!! Thank you to Diane of Snapshot Fashion, Neira of Miss Neira, Nookie of fashion in my eyes, and Jasmine of fashion is my boyfriend for nominating me as Independent Fashion Bloggers Featured Blogger. Just being nominated is thrilling; but actually being selected as Featured Blogger is such an honor! Thank you to all of you for thinking of me! Check out the feature here!! Thanks to Independent Fashion Bloggers for the picture. I am soooo happy you won!! I knew you would! Congrats Erika, a very deserving feature. I'm so glad I found your blog and love how I read it everyday like a coffee addict. I always look forward to the weekly 'Why don't you' and "Smitten Saturdays." That's amazing, Erika!! You totally deserve it hands down! Your blog is always so interesting & I love the style of your writing. Oh my gosh!! This is absolutely awesome!! Congrats, Erika! Raising my coffee cup in a toast to you ... Congratulations on your achievement! Congratulations, you totally deserve it! Everytime I click on your blog I know that I'll find something interesting, funny and useful to read. Congratulations! I just love your blog and I'm incredibly happy for you. congrats!! though I can't say I am surprised, your blog is super fun :). You are a darling in this K9's eyes! A natural award winner. A girl with great taste & style. I'm happy for you! Girly congrats!! That is so awesome, what a great feature, you totally deserve it! Congrats girl! You've been such an amazing blogger and you definitely deserve recognition for it :) And one day we will get coffee together at a nice cafe haha. WOW, congrats! You completely deserve this! 100%! Of to check it out now!